Deprecated: Assigning the return value of new by reference is deprecated in /home/sites/prebait.com/public_html/include/class_forum_vb.php on line 21 Deprecated: Assigning the return value of new by reference is deprecated in /home/sites/prebait.com/public_html/include/class_forum_vb.php on line 24 Deprecated: Assigning the return value of new by reference is deprecated in /home/sites/prebait.com/public_html/forum/includes/functions.php on line 875 Deprecated: Assigning the return value of new by reference is deprecated in /home/sites/prebait.com/public_html/forum/includes/functions.php on line 879 Deprecated: Assigning the return value of new by reference is deprecated in /home/sites/prebait.com/public_html/forum/includes/class_core.php on line 2514 Deprecated: Function set_magic_quotes_runtime() is deprecated in /home/sites/prebait.com/public_html/forum/includes/class_core.php on line 1633 Deprecated: Assigning the return value of new by reference is deprecated in /home/sites/prebait.com/public_html/forum/includes/functions_login.php on line 215 Deprecated: Assigning the return value of new by reference is deprecated in /home/sites/prebait.com/public_html/forum/includes/functions_login.php on line 402 Coarse Fishing, bridge fishery, Shropshire, England. 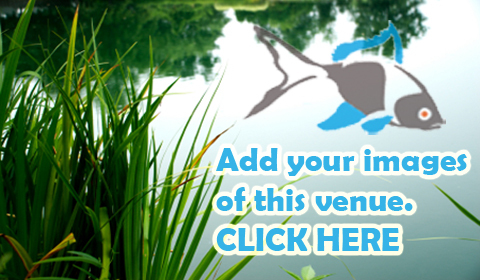 Coarse Angling, bridge fishery, Shropshire, England. whitchurch shropshire on the a41 just before you reach grindly brook coming from chester on the right hand side. 7 nearby venue(s) in the Prebait database, login/register to see these. 11 nearby shops in the Prebait database, login/register to see these.